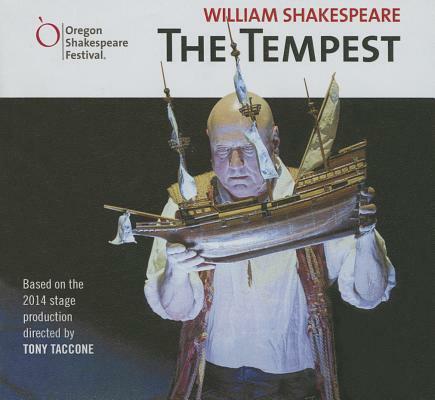 The Tempest Lib/E (Compact Disc) | The Drama Book Shop, Inc.
Blackstone Audio is proud to present the Oregon Shakespeare Festival's 2014 production of The Tempest, Shakespeare's magical romantic comedy, directed by Tony Taccone. This stunning work of audio theater, fully dramatized with performances by the OSF cast, is a must-listen. For twelve years, the exiled Duke Prospero has waited for this moment: old enemies have sailed too close to his enchanted island, and a mighty storm has forced them ashore. Now it's time to settle old scores and reclaim his former dukedom for his daughter, Miranda. Aided by supernatural powers, Prospero dispenses justice while overseeing the growing attraction between Miranda and the princely son of one of his foes. In Shakespeare's romance, sorcery and love transmute vengeance into humility and humanity, making it possible for all to return to a world made new by the power of forgiveness.